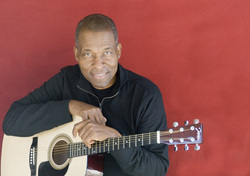 Rodney Saulsberry’s motivational CD “Better Than Before”, features 7 motivational songs available on iTunes. One of the most sought after voiceover artists in the world. Rodney is the voice of many commercial products that include, Twix Candy Bars, Zatarain’s Cajun Foods and Toyota Camry. He’s also the author of two bestselling books, You Can Bank on Your Voice and Step Up to the Mic. Rodney returns to his musical roots with the release of his new album, “Better Than Before.” His first album was produced by the legendary jazz bassist, Stanley Clarke. He also sang on the catchy tune, Hakuna Matata on the Lion King Movie Soundtrack Album. This smooth and exciting CD is designed to uplift listeners and keep them in a positive frame of mind. Listener Rick Lance said “…If I had to choose one, my favorite is ‘Better Than Before’. He sings with the sweet stylized tone of Marvin Gaye and with the soulful, gospel conviction of Al Green…”. Apparently Rodney’s music is drawing the attention of more than just the VO community and his other US fans. He is also experiencing strong sales in both Great Britain and Japan.